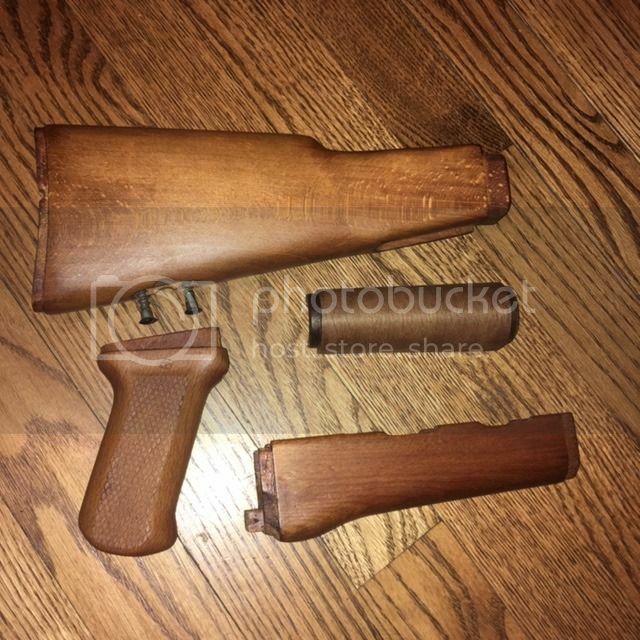 Polish Hardwood Milled Stock Set (upper hand guard are laminate). New Old Stock, never mounted. No hardwar/metal except for the screws for the sling loop. Really beautiful wood. $69 + shipping ($14 for priority flat rate or actual cost of other shipping method of your choice). Paypal only, but I'll pay the fees. Thanks. Last edited by Aardvark; 02-21-2019 at 10:53 PM.